Nowadays, a lot of investigation and eagerness develop about the massage oils, what are the ingredients? How it is prepared? How it is used as Ayurvedic massage oil? Today we will talk about the secret preparation of ayurvedic massage hair oil,which are generally prepared in Kerala. As we know Kerala is most famous for Ayurveda throughout the world. Their oils are prepared in the tradition of the Ayurvedic Oils.In Ancient India, herbal oils were used for massage; treatment of ill-health and general well-being was greatly widespread Herbal Oils are known for their effective reinvigorating and revitalizing properties. To be effective, Ayurvedic oil needs to be prepared appropriately. Herbal oil is prepared according to the long and rigorous procedure recommended by Ayurveda – cooked over a slow fire in brass vessels, immersed with the finest herbs and allowed to develop over time. Carefully selected aromatic herbs, natural resins, organic base and fundamental oils create our unique healing oils. Technically, hair oil is an herbal infused oil and there are many methods to make infused oil. We have picked the following process. 2. Pour one teaspoon of boiling water over mixed dried herbal powder. Let it remain for about two hours so that dried herbs become hydrous. 3. Mix herbal paste into four to five teaspoons of oil at room temperature and mix well. Hydrated herb particles will try to rest at the bottom most of the pot. 4. Start to heat the combination on low heat. At the beginning herbs will absorb some oil. As the oil heats up, the water absorbed by the herbs will convert in order to steam, the herbs will start to exude the absorbed oil. This has to be done at a low heat for the long time period. Lower the heat, longer the time and best will be the nature of the infused oil. At last, the powdered herbs will lose moisture and oils, and turn out to be very light. Do not heat on high flame, it will basically and burn all properties of the herbs. 5. Sieve the oil and throwing away solids from the herbs. 7. Use painted or non-transparent glass container or plastic bottle to store oil. 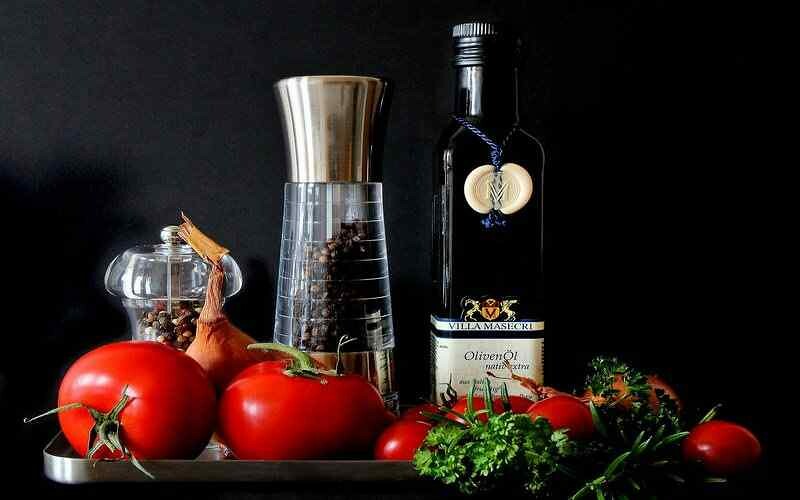 It is possible to prepare superior infused oil at home using dried wild herbs. The strength of the aroma changes with the season, whether the herbs are wild or domestic, how the local growing conditions have been, etc. It possesses a lot of trial and error. It is more art than technique and the people who are good at it are unenthusiastic to share their business secrets. How To Prepare Ayurvedic Massage Hair Oil At Home? Mix well all the dried herbs in a pot with heavy bottom. Take another pot and bring water to a boil. Pour 5 Tablespoons of boiling water on the dried herbs which are mixed in a pot. Keep it for a while so that the herbs are hydrated (water soaked by herbs) for about 2 hours. Pour all the oils described over the hydrates herbs in the pot and Stir well. Turn on flame at low so that the oil gets warm and become slightly hot. Continue steeping un-covered at low heat for 2 to 3 hours,turn off heat and let it cool. Filter to remove all solids and heat oil again to remove more moisture for about 30 minutes on low heat. Let the oil cool at room temperature, now store in plastics bottle or any non-transparent glass bottle. Ayurvedic Hair oil should be applied at night before going to bed so that it will work on your scalp and hair overnight. In the morning, you may wash your hair with shampoo. Ayurvedic Hair oil should be applied once a week for normal hair and person with dry hair may apply twice a week,and person with oily hair can apply every two weeks. Make Partition of your hair, Dip finger tips in oil and rub into the scalp. Now create another partition and repeat the process until most of the scalp is covered with oil. Make sure that you do not pour hair oil directly on either your hair or scalp. Now use your finger tips to massage the scalp in a circular movement for about 30 minutes. This will motivate blood circulation, now use your fingers to oil hair in strands specially if you have split ends. Do not forget to put a towel on your pillow to protect your pillow and bed sheets from oil. In the morning, wash your hair with just warm water. If you prefer you may be shampoo your hair. Elements will protect hair with color matching to black Indian hair. It nourishes hair roots, promotes and strengthens the hair stem. Clean up a scalp with against bacteria and anti fungal ingredients. Prevent hair-loss, hair thinning out and early gray hair. The massage benefits to sound like sleep. Promote progress of dense hair. Sunflower and Amla are thought to be the greatest sources of natural conditioners and are the world’s oldest natural hair conditioners. It is the most ancient Indian herbs and still widely used and the most popular home remedies desire by ladies in India. « How Ayurveda Can Cure Common Skin Ailments?